When was the last time you shopped around for car insurance? If you're like most Americans, you don't. According to a June 2015 survey conducted by Princeton Survey Research Associates International and commissioned by insuranceQuotes.com, 66 percent of policyholders never or rarely check to see if they could get their coverage more cheaply. 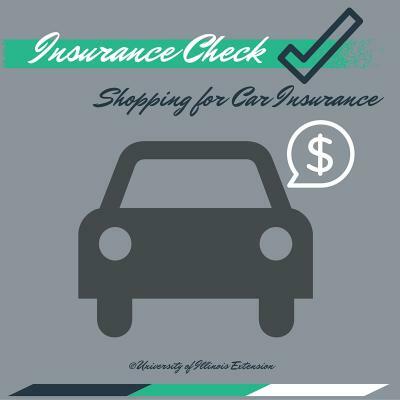 While most people think shopping for car insurance is a pain or a hassle, it could be worth it financially for you to check! Before you shop for car insurance, you may want to have all of your information ready to go to get that new quote. You'll want your exact VIN numbers for your vehicles as well as know the limits and deductibles of your coverage. If you have any additional features to your policy, let the person who will be giving you the quote know that too. Having the information ready to go when you call and can make the process go more quickly! Also, try and call around (or go online) to at least three different insurance companies for quotes. You may be surprised at how different the pricing is! When you get your quote, you want to make sure you're comparing apples to apples. This means you want to make sure you have the same coverage from your current policy be the same as the quote. For example, if your deductible if $500, then the quote should also have a deductible of $500. Always double check and make sure the coverage limits, deductibles and any extras are the same or at least comparable to the policy you already have. Otherwise, you won't be comparing apples to apples! 3. Why is the policy pricing different? All insurance companies are different when it comes to pricing. Risk factors can bump the price of a policy up when you seem to be a financial risk to that company. When you get a quote, the price might seem reasonable, until they run your social security number and driving record through to finalize the policy. Another factor that comes into pricing is your driving record. Accidents, speeding tickets and claims are all incidents to increase the premium. Insurance companies typically only look back at the last two to three years of your driving record, so that accident you had in 2010 won't show up! Make it easy on yourself when shopping for car insurance, have all of your information ready when you either make that call or go online for a new quote. Make sure you compare your current policy to the quoted policy. You don't want to run into an issue where you're not fully covered. Lastly know that all companies are different, especially when they run your insurance score and your driver's record. While being brand loyal may have it's perks, sometimes it best just to check and see you're getting the best price out there! It never hurts to look! This is a very timely for me. I need to shop around and compare, but have put off doing it.